* Organic LED (OLED) are produced by sending a current through an organic film as thin as 100 molecules across, with a potential energy efficiency advantage of 20:1 versus LCD displays. A professor at MIT explains the concept with a glowing pickle. * Graphene lighting comprised of light-emitting electrochemical cells is being developed by US and Swedish scientists. Is this the next generation commercial lighting technology? * White LED yielding 208 Lumens per watt at 4579 Kelvin color temperature has been achieved under laboratory conditions. 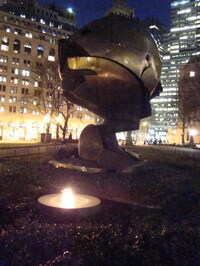 * Koenig’s Sphere, the sole sculpture to survive the WTC collapse, has been reinstalled in Battery Park City and lit by OSRAM Sylvania. * Downtown’s streets are among the safest in New York, thanks in part to 100 streetlights installed by the Downtown Alliance. 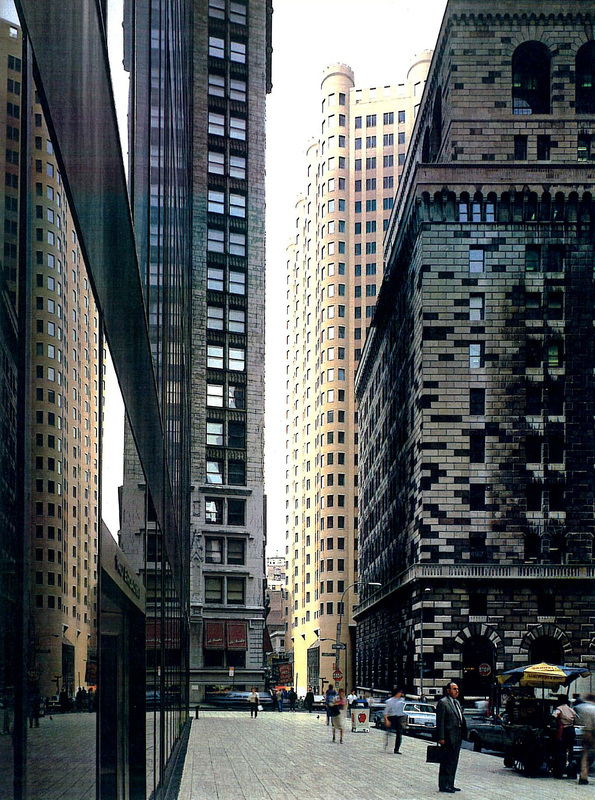 This entry was posted on February 10, 2010 at 3:51 am and is filed under Energy and Urbanism. You can follow any responses to this entry through the RSS 2.0 feed. You can leave a response, or trackback from your own site.